The Roc-It dog line targets fashionable, hip stylists and offers a versatile collection of cutting tools at promotional pricing without sacrificing Centrix performance and creativity. 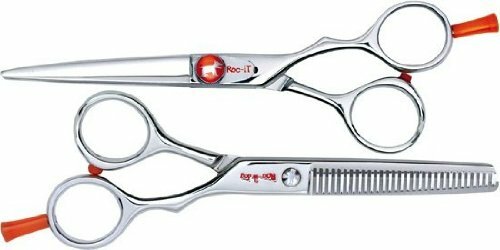 Roc-It dog shears are precision cast. This process requires melting custom blended alloys at extreme temperatures then pouring them into specially hand crafted molds. Our craftsmen spend their time sharpening, polishing and hand honing the blades to get the precise edge that Centrix Shears are known for. If you have any questions about this product by CENTRIX, contact us by completing and submitting the form below. If you are looking for a specif part number, please include it with your message.